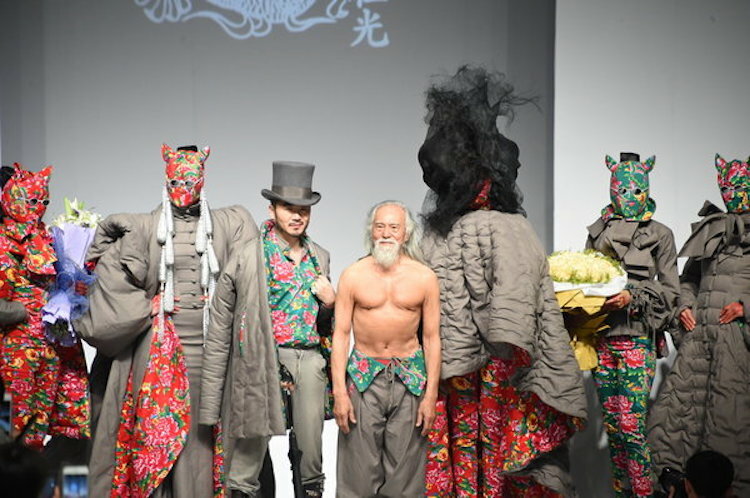 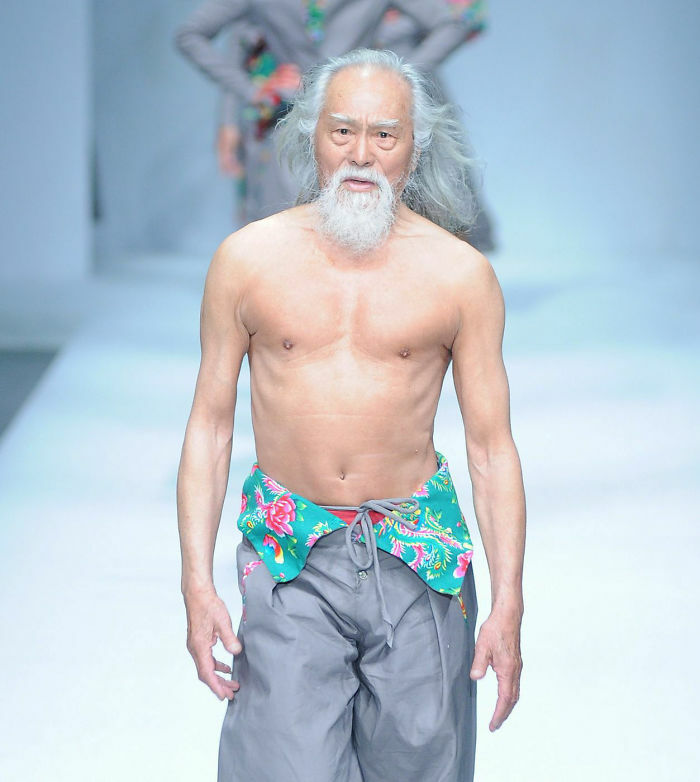 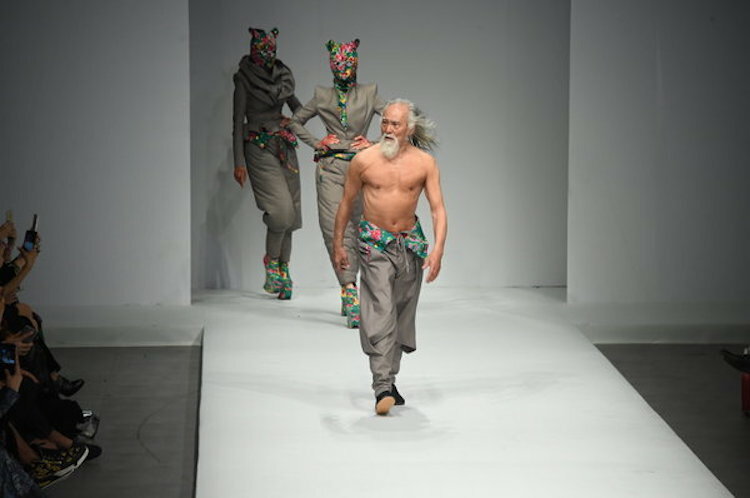 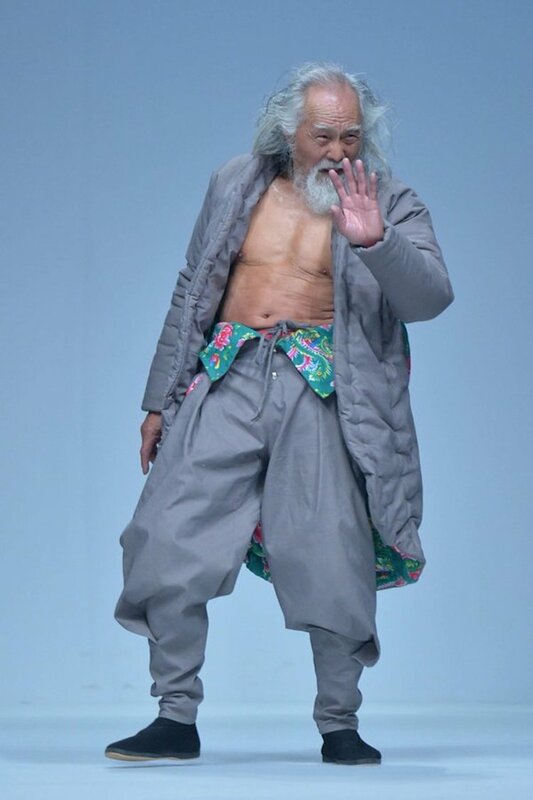 Wang Deshun, a 80-year-old actor and artist from China, made his first appearance as a model during the China Fashion Week Fall/Winter 2015 in Beijing, China. 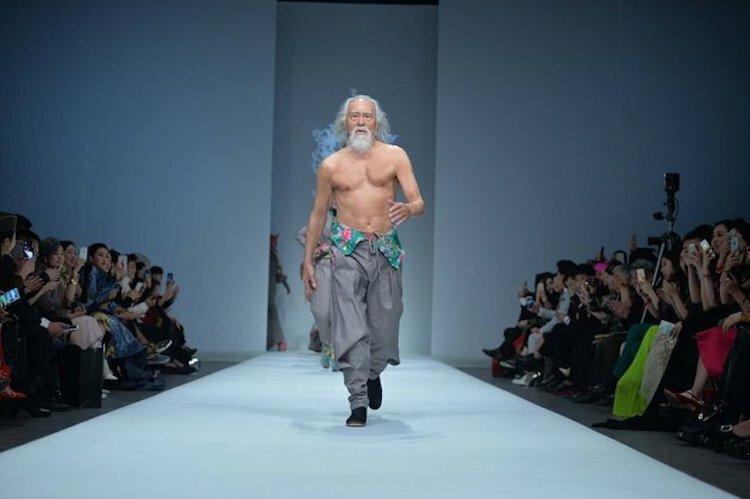 People are entranced by this old man’s presence on the runway because of his charm and fit body and call him “China’s hottest grandpa”. 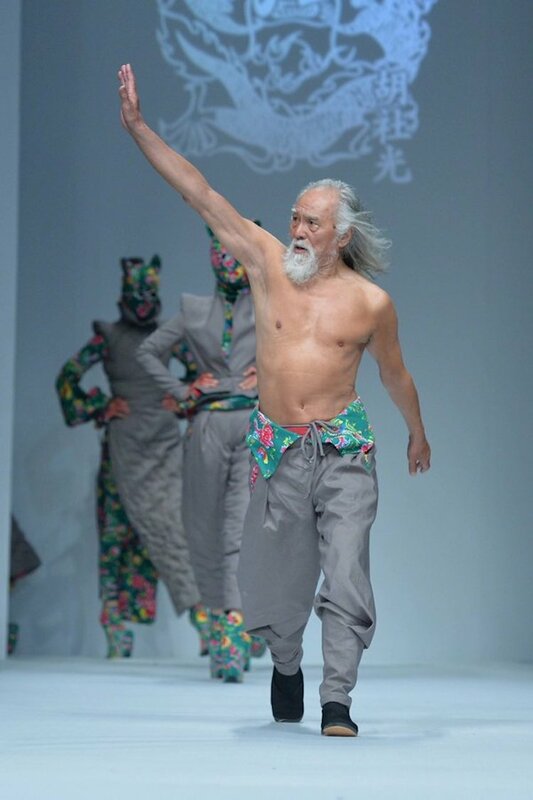 “It’s about your state of mind. 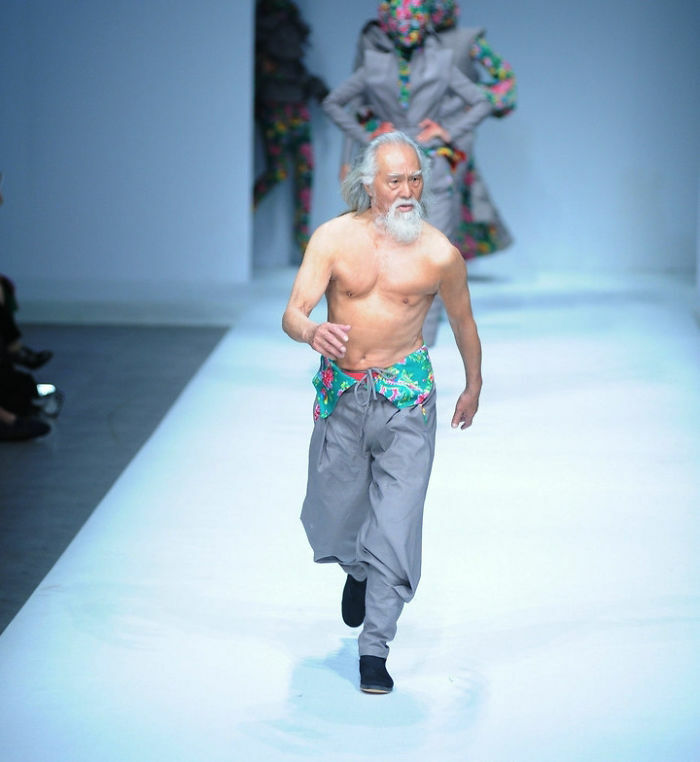 It’s not about age,” says Wang, he has proved it perfectly.